Life Learners is a Medicaid provider for Occupational Therapy and offers OT for those who are interested. Our therapists are some of the best in the business and have over 10 years experience in dealing with children with Autism. Speech Therapy is used to help students with Autism become clear confident communicators so that they can: Become fully engaged in school and benefit from the curriculum. Speech therapy may include physical exercises to strengthen the muscles used in speech (oral-motor work), speech drills to improve clarity, or sound production practice to improve articulation. Speech therapy is also a very important tool in the development of self help skills and independence for activities of daily living. 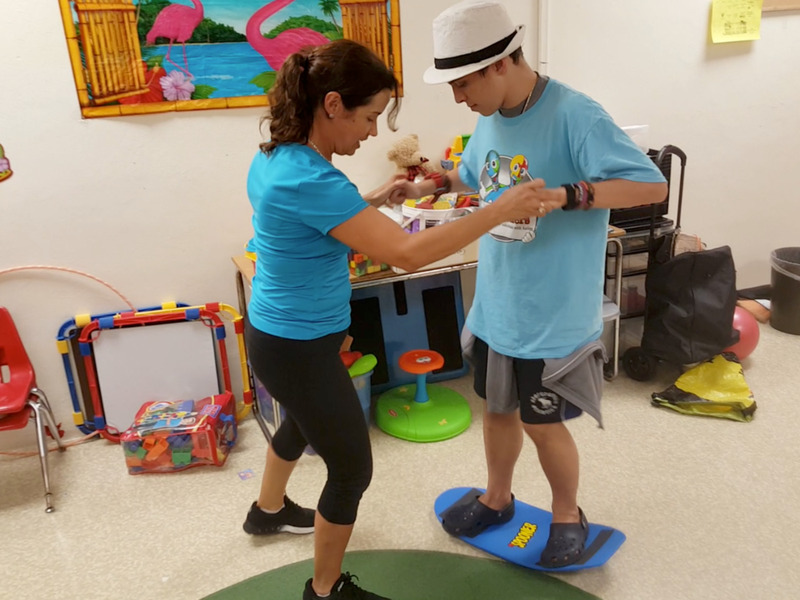 Physical Therapy may be an option for children with Autism that require help developing age appropriate motor skills, possess low muscle tone, or have problems with some of the body's physical systems such as breathing control. Many Autistic children can also benefit from carefully designed exercise programs to help reduce issues associated with fine and gross motor skills. Life Learners Physical Therapists are licensed professionals ready to assist with any physical issues your child with Autism may have. So why ride a horse for therapy? It's all in the movement: up and down, side to side and forward to back...all at the same time. Throw in several changes in speed, variables in rhythm and a whole host of sensory inputs and you've got motion that impacts your brain and body in significant ways! Did you know that by simply sitting astride a moving horse, a person's sense of coordination and stability can improve? All this combined, stimulates nerves in the brain that may have been dormant for years leading to better health and overall muscle relaxation. It also promotes self-control, responsibility and confidence in students with Autism.